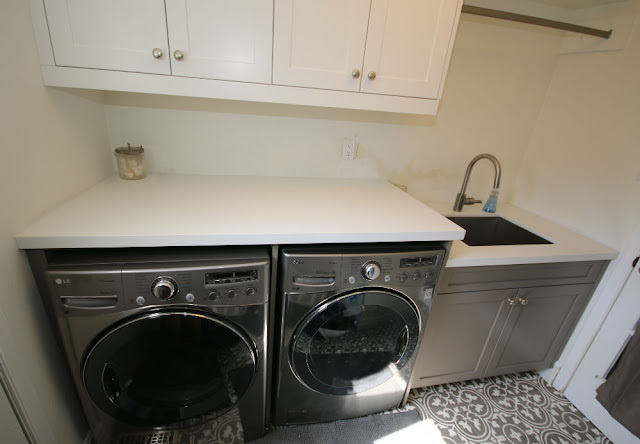 This Oakville laundry room reno that we just completed was a phase of a larger home renovation project. You can see that we installed beautiful lower light grey cabinetry with white shaker upper cabinets and white quartz countertops to accent these stunning bold floor tiles. Hope you like the renovation.